Thinking About Remodeling The Shower In Your North Carolina Home? We build new showers and remodel existing showers. Are you finally motivated and ready to do something with that old, dated, shower in your master bathroom or maybe a guest bathroom? Has your family just purchased a home in Wake County, NC and you’d like to make some meaningful improvements? 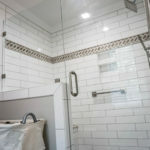 From a beautiful tile or stone surround to an open walk-in shower with a nice looking glass enclosure and rain shower heads and digital controls there are so many choices for a homeowner to make. Make no mistake though, remodeling your existing shower is one of the best ways to get a more luxurious and spa-like, relaxing experience out of your bathroom space. Your shower remodel can make it more inviting, and it will also increase the value of your home at the same time. If you’re looking for a company that can remodel your shower in Wake County, NC we’re glad you’ve stumbled upon our website. Branch Home Improvement LLC is a bathroom remodeling contractor based out of Wake County, NC and serving Holly Springs, Apex, and Cary. We specialize in desiging, building, and remodeling our clients showers. Whether you’d like to build a new shower in your bathroom, convert an old bathtub into a shower, have a walk-in shower built, a new tile or stone shower surround, we’ll be able to help you design your new shower space so that it could rival the experience of any 5 star hotel. Branch Home Improvement LLC Built This Tile and Stone Shower in Cary, NC. 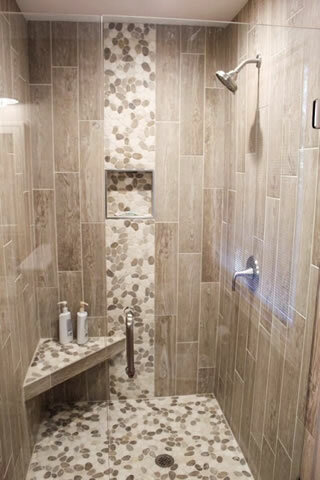 What Are Some Great Shower Remodeling and Renovation Ideas For Your Wake County, Bathroom? If you’ve just a bought a home and the current shower in your master bathroom is 20 or 30 years old the experience you’re left with before, during, and after every shower probably leaves something to be desired! If you’ve ever stayed in a luxury resort, hotel, or spa, you’ve probably already experienced a beautiful, spa-like shower, and you probably have a few ideas you’d like to see. Here are a few things for you to think about as you gather ideas to help you make a decision for your own shower. It’s tough to beat the crisp, clean, feeling that natural stone or tile deliver your feet when you shower. Available in so many colors and styles that it can work in any bathroom, especially if you’ve chosen neutral/natural colors. 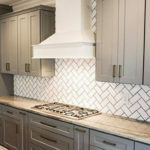 A really good tile installer can really bring your shower to life using contrasting tile designs, custom accents, tile shower niches, stone benchs to rest on during your shower, and more. Tile is certainly the most expensive product for a shower remodel, but it’s the labor required to properly install it that contributes to the cost. Tile installations are very intricate and trick jobs, especially for a wet area such as a shower. If the job isn’t done the right way, and the shower pan leaks, you run the risk of causing structural damage to your home. With a larger shower, especially walk-in and barrier free showers, it’s not uncommon for a homeowner to want to install shelving or possible seating. Shelves in the shower are nice to get rid of the clutter and keep your bath products out of the way. Having seating in your shower though, is a very popular option should your new shower have the room. If you like to relax in the shower after a long day at work a nice tiled shower bench is a great way to just sit and enjoy your showering experience. Branch Home Improvement LLC can install a variety of digital shower controllers from the top brand manufacturers such as Kohler, Moen, and Gowe. We can install a digital shower controller for both high and low pressure water systems, we can take care of the plumbing, wiring, and more. Shower heads are a very personal choice and if you have an older shower with an old shower head then you would probably agree there is room for improvement in this department! If you often shower with your partner then there are even dual shower head systems that mean you’ll always have the hot water! It might seem like a small touch but choosing the wrong shower head will just lead to showering disappointment. Shower heads are a great opportunity to add a little style to your shower too with many different finishes available and in many different styles too such as modern styles, classic styles, luxury or spa-like, or even antique looking shower heads if you have a heritage home and want to keep that ambience. Maybe you’d like to have a hand held shower head that can be removed when you need it? Or maybe you’d like to have a shower head with a built-in massage setting or one that even works with aromatherapy oils to infuse your shower mist with therapeutic benefits. These are all options with modern shower heads. Definitely don’t overlook the lighting in your shower. The right lighting has a dramatic effect on any shower remodel and the overall look and feel of your bathroom. Some homeowners choose to have a variety of lighting styles so you can have some bright lighting to help wake you up in the morning, and then you can have some softer mood lighting for those evening showers before bed. You don’t have to go with the same old square or rectangular shower anymore. Now we can build showers in all shapes and sizes to maximize the available space in your specific bathroom. Showers can be built curved, rectangular, square, and they can be custom fit so they tuck into even the smallest of bathrooms like a hallway or basement bathroom. The old days of a dingy, beat-up, shower curtain are over. Most modern shower remodeling projects totally do away with the boring curtains and make way for more classy options. Consider a see through glass enclosure if you’d like to give your bathroom the illusion of being much bigger than it really is. You can use frosted glass if you want additional privacy and it comes in a variety of different styles and patterns. Maybe you want beautiful tile or stone for a shower surround? In that case glass is the only way to go so your shower can be seen and you can show off the beautiful design and texture. Ken, Daniel & Bennett Branch. Branch Home Improvement is a local bathroom remodeling contractor based out of Wake County, North Carolina. 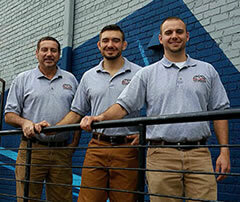 We provide shower remodeling in Cary, shower remodeling in Apex, and shower remodeling in Holly Springs. Whether you’re looking to build a new shower, remodeling an old shower, or convert a shower into a safer space like a walk-in or curbless shower, the team at Branch Home Improvement can help. 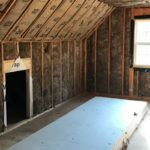 When you choose to work with Branch Home Improvement for your shower remodeling or renovation project you are partnering with a small team of talented and dedicated craftsman. We take your commitment to your home seriously and that will reflect in everything we do while making your home a better place. We’ll treat your home as if it were our own, this includes a clean job site, quality craftsmanship, and an excellent customer service experience. We are passionate about transforming showers and bathrooms into better, more modern, and usable spaces. It’s through generous and enthusiast word-of-mouth advertising from our many happy clients that our company continues to grow. 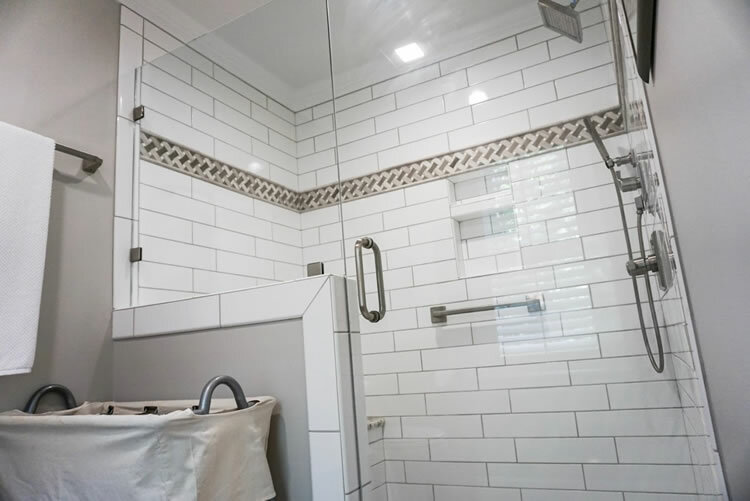 To schedule an estimate for your Shower Remodeling projects please call (919) 995-6325 or fill out our contact form and we’ll get right back to you.